Another theme that I covered in the Motorstorm project is a horror character where the client required a villain in the same live as Freddy from Elms Street and Jason from Friday 13th. 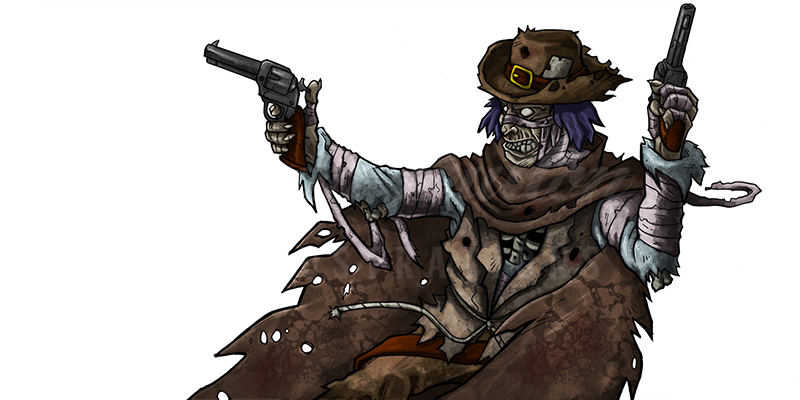 The design of this character got designed down to an undead mummified cowboy after going various horror villains. Two illustrations of this character was produced, one that would be applied to the bonnet of the car and other to the side of the car.